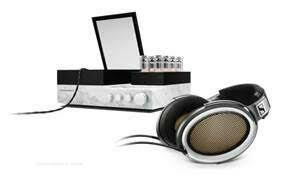 Singapore, 3 November 2015 – They are the best headphones in the world: with the successor to the legendary Sennheiser HE 1060 / HEV 1060, Sennheiser is presenting new high-end headphones that offer an unprecedented audio experience. The electrostatic headphone system combines to perfection the most innovative technology with carefully selected, luxurious materials and highest quality craftsmanship. A masterpiece that has its price: the high-end headphones, which will be hand-crafted in Germany from next year onwards, will cost around €50,000. Building high-end headphones which sound so brilliant that you feel that you are in a concert hall; creating acoustics that surpass anything that has been heard before: this has always been Sennheiser’s vision. And in 1990/1991, the audio specialist achieved precisely that: Sennheiser took the audio world by storm with an engineering masterpiece that exceeded all previous ideas about the performance limitations of headphones. The product became an icon of the audio industry and was recognized as the best headphones in the world – until now. Almost 25 years later, Sennheiser is now opening up a new chapter in audio history with the successor, one that shares its famous name: “With the new Sennheiser HE 1060 / HEV 1060, we once again push the boundaries and show that we can repeatedly set new benchmarks in excellence and with that shape the future of the audio world,” said Sennheiser CEO Daniel Sennheiser. The new Sennheiser HE 1060 / HEV 1060 surpasses every other headphone system in the world by offering the ultimate in reproduction precision, exceptional spatiality and a frequency response that extends far beyond the range of human hearing ability. “It is able to deceive our senses in a completely unique way, creating the perfect illusion of being directly immersed in the sound,” explained Daniel Sennheiser. Even the slightest nuances of the music become audible. Alongside star producer Steve Levine, Grammy award-winner Gregory Porter was one of the first to be invited to an exclusive listening trial. “When I record my own music, I always try to convey my emotions. I don’t know how exactly, but these headphones really do succeed in getting those emotions across,” said the jazz musician, describing his listening experience with the Sennheiser HE 1060 / HEV 1060. The unique Sennheiser HE 1060 / HEV 1060 experience begins even before you start listening. When the system is inactive, the components are all retracted and the Sennheiser HE 1060 / HEV 1060 has the serene beauty of a sculpture. Gently pushing the on/off-volume control brings the sculpture to life: the control elements, each of which are crafted from a single piece of brass and then plated with chrome, slowly extend from the marble housing, before the vacuum tubes enclosed in quartz glass bulbs rise from the base and start to glow. Finally, a glass cover is raised, allowing the headphones with ear cups finished in genuine leather to be removed. The selection of all materials consequently supports the acoustic excellence of this milestone product. Each of the more than 6,000 components was meticulously chosen. 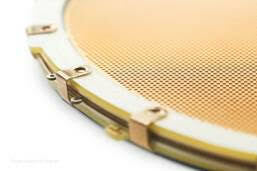 To ensure an outstanding acoustic performance, the audio specialist used exclusive components such as gold-vaporized ceramic electrodes and platinum-vaporized diaphragms. The marble that Sennheiser chose for the amplifier housing comes from Carrara in Italy and is the same type of marble that Michelangelo used to create his sculptures. “The properties of the marble optimally protect the amplifier’s core and its unique optics and structure turns each Sennheiser HE 1060 / HEV 1060 into an individual work of art,” said Maurice Quarré, Director of Select & Audiophile at Sennheiser. The design of the Sennheiser HE 1060 / HEV 1060 follows the principle of pushing the boundaries of what is possible in order to visualize Sennheiser’s ambition of creating perfection in every detail. “Due to its technical superiority, the Sennheiser HE 1060 / HEV 1060 has no need for an exaggerated design. Its beauty lies in its reduction to what is essential,” explained Oliver Berger, Head of Global Design Management at Sennheiser. 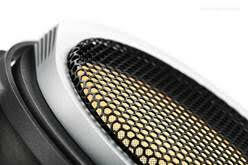 To immerse yourself in the unique world of the Sennheiser HE 1060 / HEV 1060, please visit www.sennheiser-reshapingexcellence.com. You can watch the full interview with Gregory Porter by clicking the following link: www.sennheiser.com/bluestage.